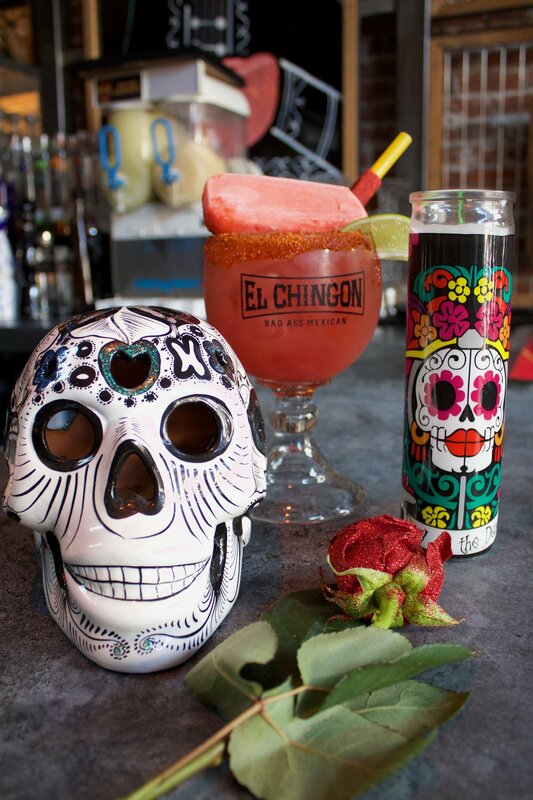 Kick-start your Halloweekend festivities at El Chingon starting Friday, October 27th! 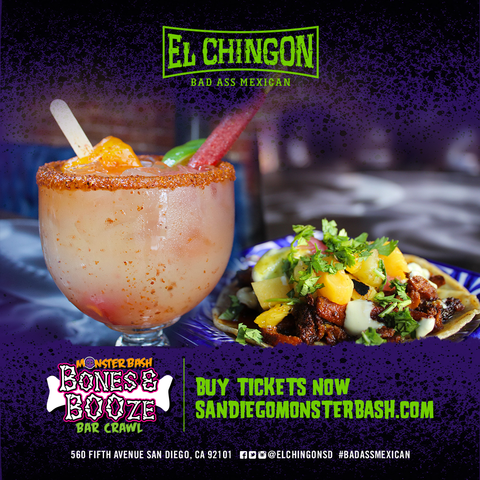 El Chingon is one of 15 proud participants in San Diego's annual Bones & BOOze Bar Crawl. 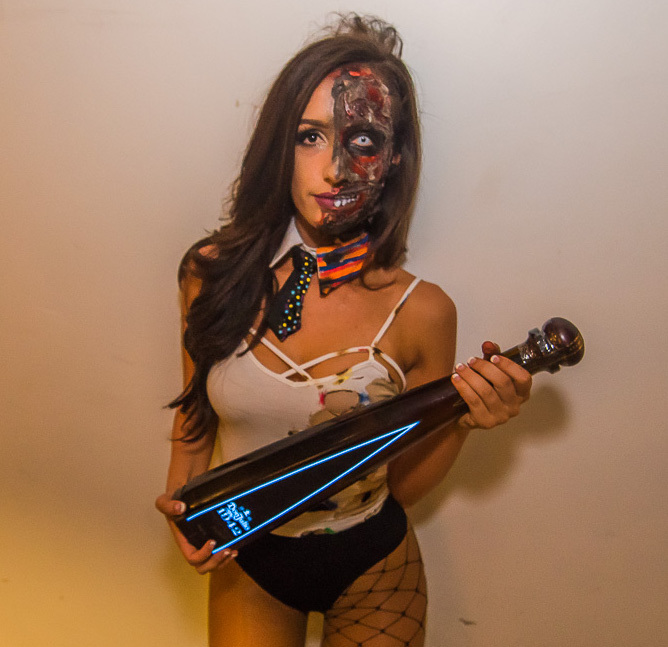 So put on your spookiest costume and drink your way through the Gaslamp this Friday! Tickets are available here. Friday, October 27th: Once you get into the Halloween spirit with the Bones and BOOze Bar Crawl, El Chingon has DJ KAOS and DJ Shadowman in the house to keep the party going all night long! Saturday, October 28th: El Chingon is excited to be the VIP check-in for Monster Bash, San Diego's biggest block party! Sid Vicious, DJ Dynamiq, Escobar AND Cheyenne Giles are lined up to make this Saturday night unlike any other. Tuesday, October 31st: Halloween is finally here! Hopefully Halloweekend didn't tire you out, because El Chingon is bringing the heat again with URFRIENDS DJs Miles Medina and Panic City! Are you looking for the VIP treatment this weekend? Email vip@elchingon.com for all table and bottle service inquiries. Owner of Balanced Fitness and Health & co-founder of RMD Group, Rodrigo Iglesias has been known to help industry friends in need. Now we have the opportunity to help his family. Monday, July 18, Industry Boxing returns to the Gaslamp, and is taking place at Parq for the first time. A portion of the proceeds from the evening’s event will go to help with the cost of treatment for Rodrigo Iglesias’ mother who was recently diagnosed with Stage 4 Pancreatic & Liver cancer.